It seems that every project in Hollywood these days is either a reboot, a sequel or an adaptation pulled from the pages of a comic book. We’ve got a new report that the latter is happening with Black Bull Media’s comic, The New West. The story follows disgraced LAPD detective Daniel Wise as he traverses a near-future Los Angeles robbed of its technology by an electromagnetic pulse bomb. The two issue-comic drops Wise, whose assets are only a horse and a sword, in an attempt to rescue a kidnapped mayor. The comic will be optioned by Chris Bender, JC Spink and Jake Weiner of Benderspink, in collaboration with Wizard magazine founder, Gareb Shamus. Hit the jump for more on The New West. 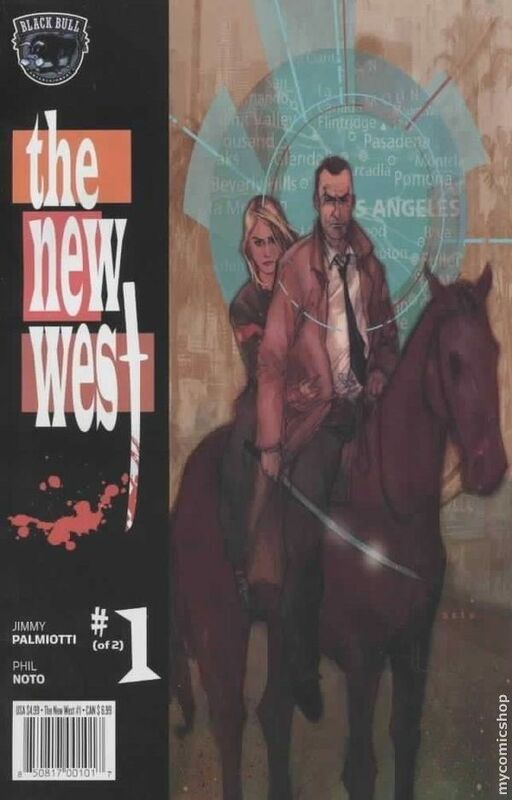 THE NEW WEST #1 Cover by PHIL NOTO Written by JIMMY PALMIOTTI Painted art by PHIL NOTO From the team that brought you the critically acclaimed Beautiful Killer (currently in development with Universal Pictures and Jessica Alba) Jimmy Palmiotti, co-founder of Marvel Knights and writer of Hawkman/The Monolith, joins the talented Phil Noto (Danger Girl: Hawaiian Punch) for Black Bull’s newest high action series, The New West. Our story begins with a disgraced former Los Angeles Police detective Daniel Wise, who endures a near future deserted hostile LA environment where the Mayor has now been kidnapped and Daniel Wise is the only one who can save him, but can he do it with just a horse and sword? High action and surprising twists await you in this lavishly painted series. Painter Phil Noto, best known for his fantastic covers to Birds Of Prey and Danger Girl, perfectly transforms you to a fantastic new world of adventure in this exciting new fully painted 2-issue series that concludes in April. Disgraced former Los Angeles Police detective Daniel Wise continues to endure in the deserted hostile LA environment. Can Wise rescue the kidnapped Mayor and uncover the truth behind the fall of Los Angeles? Samurai sword action and shocking events unfold in the conclusion to this lavishly painted series.